In 2014, 9% of small to medium-sized enterprise employers in Scotland included at least one owner or director with a disability. This figure has decreased by 2 percentage points since 2012. 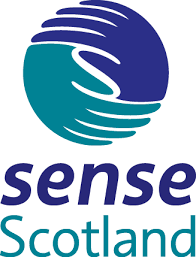 Scottish Government Small Business Survey 2014. It is natural to expect that as business owners age, there is a greater likelihood of limited functioning through disability. Practicing a more a more inclusive approach doesn’t just benefit staff, but also potential clients and other stakeholders. It’s a sound business decision with long-term benefits above and beyond the office door. Self-employment rates tend to be higher for disabled people. In 2014, the self-employment rate for disabled people was 14% compared to 11% for non-disabled people. Due to the difficulty that many disabled people have in finding work, it is more common for disabled people to be self-employed. Whilst the figures are only slightly lower for non-disabled people, one must remember also that figures for unemployment are almost twice as high for disabled people, creating a far greater gap in the statistics shown here.